Kritilata Ram at the Gopio conference. Being at the service of others is the sole purpose of her life. Kritilata Ram has dedicated more than 35 years of her life helping the poor, the disabled and empowering women. 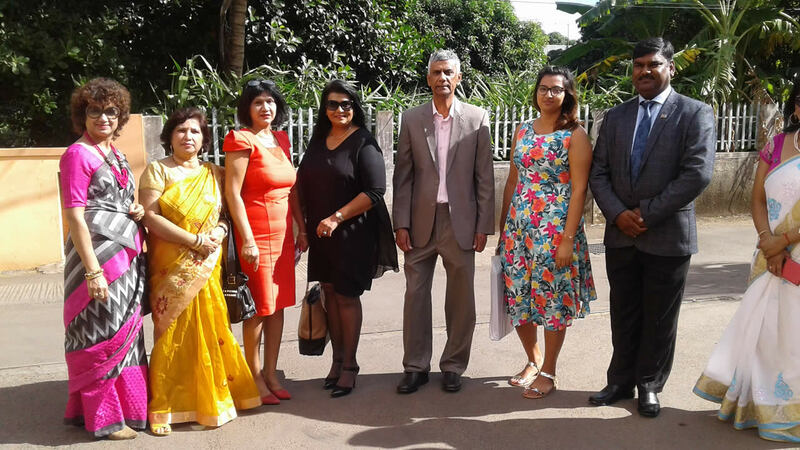 She has also won an award for being among the 100 Most Influential Women in Mauritius in 2017 and has been elected as chairperson of the Training, Development of NGOs and promotion of Entrepreneurship subcommittee, to organise training for the members of 400 NGOs who are registered with MACOSS throughout Mauritius. Kritilata Ram is the Founder director of the SSR Disability Services Centre at Triolet, where lots of disabled children are studying. Simultaneously, she is connected to lots of NGO’s having as main goals the following: Eradicate poverty in Mauritius and empower less fortunate women. “The purpose of life is a life of purpose.” It is this powerful statement that has always inspired her to be at the service of others. 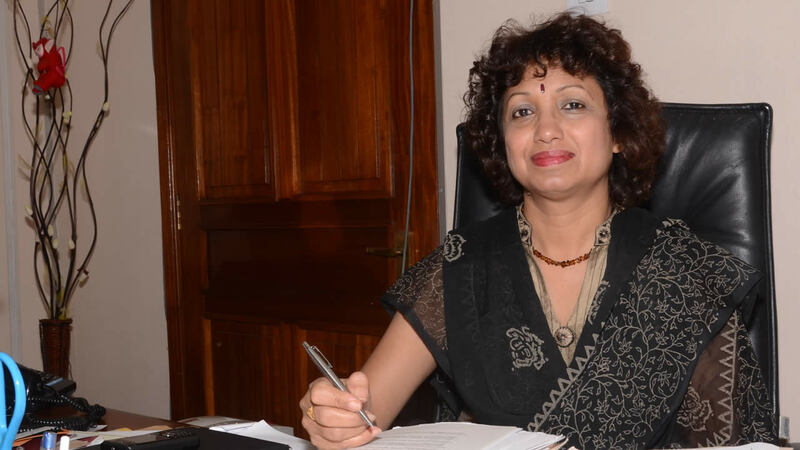 Talking about how she discovered the purpose of her life, Kritilata Ram declares: “Some parents whom we visited wanted to be guided and directed in the sector of disability and education. So I advised them along these lines: The purpose of life is not to be happy only but also to be useful, responsible and at the same time to be compassionate.” Keeping this in mind, she set up a school for children with disabilities in Triolet with the help of many sincere friends and the support of the authorities. Despite all the odds, she persevered. She started working very hard to get the school built with the support of CSR. “Here, we lay emphasis on an inclusive quality education, training of skills and other vocational training and leisure activities,” she explains. For her, there is no higher religion than human services. She recalls, with tears in her eyes, when the children of her centre participated in the 16th International Convention on Students Quality Control circles held at Lucknow, India, in 2013. 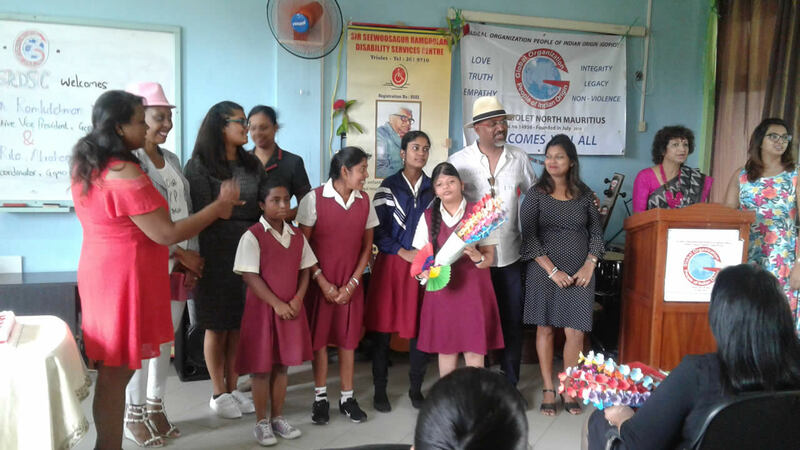 They presented cultural items where they performed wonderfully and received a warm hearted standing ovation and thus honoured both their school and their country, Mauritius. In 2014, her NGO received the best NGO Award in the disability sector. All the trainers of women empowerment programme. of the Zulu Nation King Gppdwill Zwelithini Ka Bhekuzulu. In addition to the disability centre, Kritilata Ram is a fervent advocate for the empowerment of women. 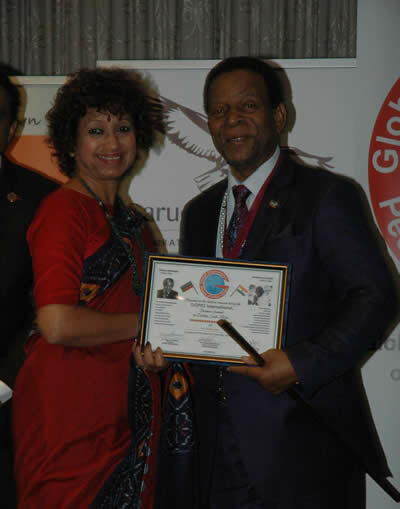 In 2017, she was elected and nominated as chairperson of training, development and promotion of SMEs in Mauritius for MACOSS." According to her, women, if given the opportunities, will prove their mettle as being socially responsible for their community all over the world. Women’s rights are a global struggle based on universal human rights. It requires all of us to end traditions, practices and laws that harm women. “It is indeed comforting to note that progress has been achieved through determined advocacy, practical action and enlightened policy making. Yet, in many countries and societies, women are still treated like inferior citizens and are still widely marginalised within the corridors of power,” she points out. 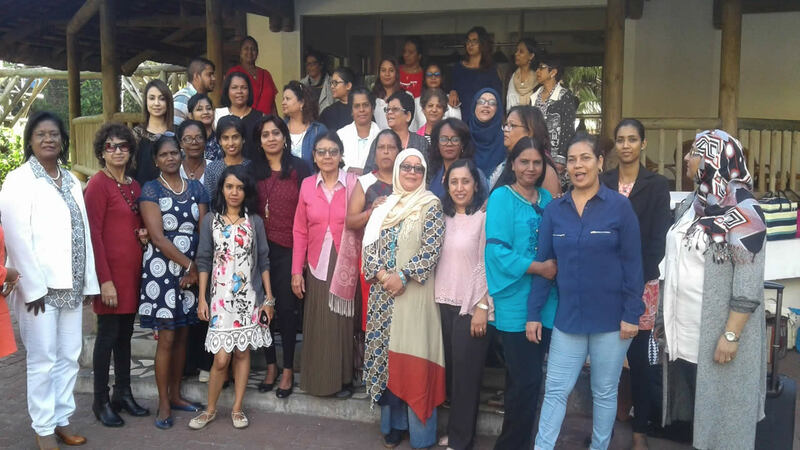 The social worker believes that the Mauritian women should be empowered in different fields such as the economic, social, educational, technological and political affairs. Personally, she has taken up the challenge and has been working very hard since 2007 to ensure women’s equal access to and full participation in power structures and decision-making while at the same time, they have to face lots of obstacles, opposition, embarrassment, criticism, and but they do finally take risks. Kritilata Ram believes that to alleviate poverty in the country, money is not the only solution. “Programmes to accompany the people and empower them are very important. Then only absolute poverty can be eliminated. People should feel that they belong to this country and that they are loved and cared for,” she explains. To her, focus should be on laying emphasis on quality education and training in vocational activities, then only will the vulnerable and disabled be able to integrate society. “To remove people from poverty, it is not only providing them with financial means but it is also to improve the roads, water, electricity, and infrastructures of a village,” she states. She has worked in close collaboration with the Private Parliamentary Secretary of the Public sector in identifying projects such as construction of drains at Mont Gout and other places, roads, cleaning of rivers to prevent diseases such as Chikunkunya and Dengue, construction of funeral pyres, among others. There are thousands of people dying for a piece of bread in the world, but she reminds us that that there are also thousands upon thousands dying for being loved. “Abandonment is an awful type of misery. There are poor people everywhere, but the deepest poverty is not being loved. I take the challenge to be able to eliminate poverty through love, passion and enthusiasm and where quality prevails over quantity,” she concludes. Although she has a good career path today, Kritilata Ram comes from a very modest family from Tranquebar. Her main asset in life was education that her parents provided her with, despite extreme poverty. She started as a typograph and quickly climbed the ladder at the IVTB to become an Instructor and a Training officer. “I have taught English Communication, Home Economics and Work Ethics with the students at the IVTB, now known as MITD,” she explains. In 2006, she set up her NGO and in 2013, she opened the disability centre. 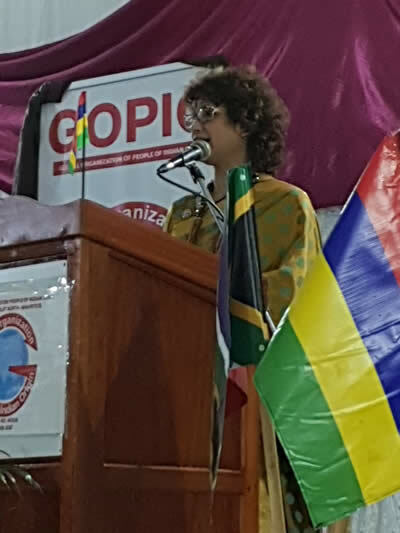 Since 2016, the Ministry of Education has selected our NGO and school to run the Resource and Development Centre at Plaine des Papayes, where severe cases are admitted for therapies.” She is the also the president of the GOPIO Triolet North Mauritius and the Co-chairperson of G Intl Women’s Council and the GOPIO International. As Social Facilitator of the Trust Fund for the Social integration of the vulnerable groups, she has carried out various projects for uplifting women in some pockets of poverty, by providing financial means for needy women so that they might be able to stand on their own feet and to bring autonomy to housewives caught in the poverty circle. For instance, she provided tools and equipment for farming and cultivating crops, vegetables and fruits to women at Point aux Piments in the agricultural field and set up a workshop in the northern regions on Adult Literacy and Numeracy with a view to empower the illiterate women of the village. At the SSR Disability Centre. Among others, she provided financial means for the setting up of a Polyvalent centre known as Arc de Noe in Pamplemousses, where various courses were given including Home Economics, Mechanics and other trades and life skills to enable these disadvantaged women integrate the mainstream of development process. Vivre sans identité : un véritable cauchemar !